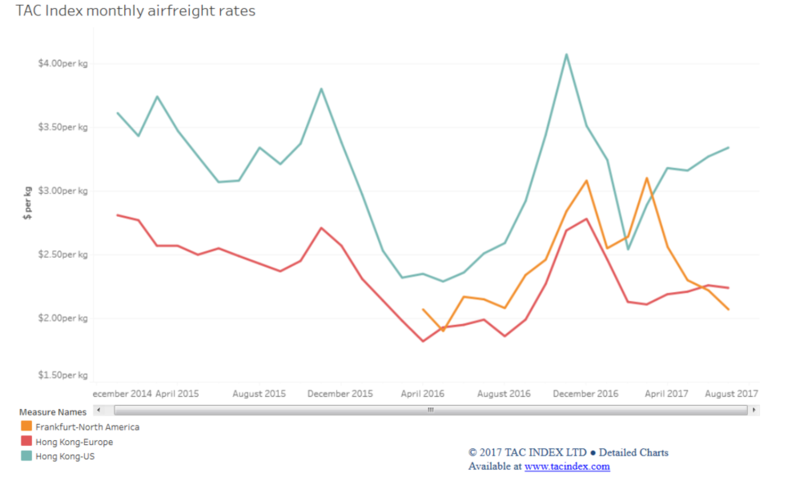 Airfreight rates on services from Asia continued to track ahead of last year’s levels in July, while some weakness was noticed on the transatlantic. 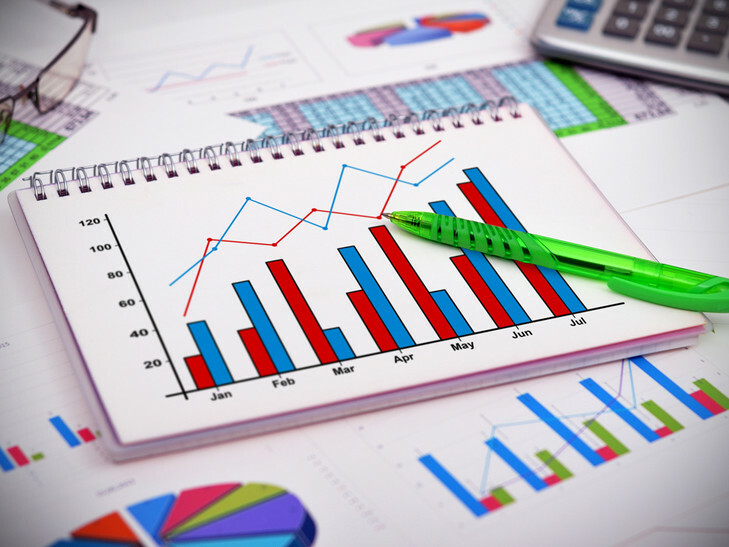 The latest figures from TacIndex show that airfreight rates on services from Hong Kong to the US increased by 33% year on year in July to reach $3.34 per kg. This is also an improvement on 2015 levels when rates stood at $3.08 per kg and last month when carriers were able to achieve $3.27 per kg. There was also an improvement on the Hong Kong-Europe lane, although not quite as impressive, where average rates for the month reached $2.24 per kg, up 12.6% year on year. But prices are down on June, by two cents, and they are down on 2015 levels, when prices stood at $2.49 per kg. Improving year-on-year prices out of Asia reflect a surge in demand (see page 28), while carriers are carefully managing capacity, with aircraft taken out of service for maintenance. It was a different story on services from Frankfurt to North America where average rates declined to $2.07 per kg against $2.15 per kg last year. Prices are also down on last month when carriers were able to achieve $2.22 per kg. The decrease in prices comes despite steady demand fuelled by the stronger dollar, although there has been some movement in the currency, and is the result of excess capacity as tour operators add aircraft to the trade for the busy summer. TacIndex has also announced that its recently updated website now offers trade lane averages on services originating from air cargo hubs.